Hire a Medela Symphony Hospital Grade Breast Pump for $22.50 a week. Minimum hire of four weeks. If you are in Sydney & need this pump urgently, Book Now to deliver in next business day. You may be eligible for a rebate for breast pump hire through your private health cover dependent upon your fund. Contact your private health cover directly to enquire. Our showrooms are conveniently located to all of the leading Maternity Sydney hospitals. Prince of Wales Hospital, Royal Hospital for women, Royal North Shore Hospital, The Mater Hospital, Westmead Childrens Hospital, St George Hospital And more…. Includes: Medela Breast Pump Unit, Plastic Bottle Stand, AC Lead and Carry Case. For hygiene reasons the double kit is required when renting a Medela Symphony Breast Pump. Please email onlineorders@ilsau.com.au when you’re ready to off-hire. The Symphony can be used for both single and double pumping. We next day delivery for Sydney Metro and 1 day delivery for the rest of NSW. Billed up-front in four-week cycle with any unused weeks refunded when the product is returned. Delivery and collection of items can be arranged. Please contact our Customer Service Team for a rental quote. Please Note: Our Sydney Showrooms are open between Monday to Saturday, check our store finder for more details. Includes: Medela Breast Pump Unit, Plastic Bottle Stand, AC Lead and Carry Case. Does not ship with a double kit as pictured. 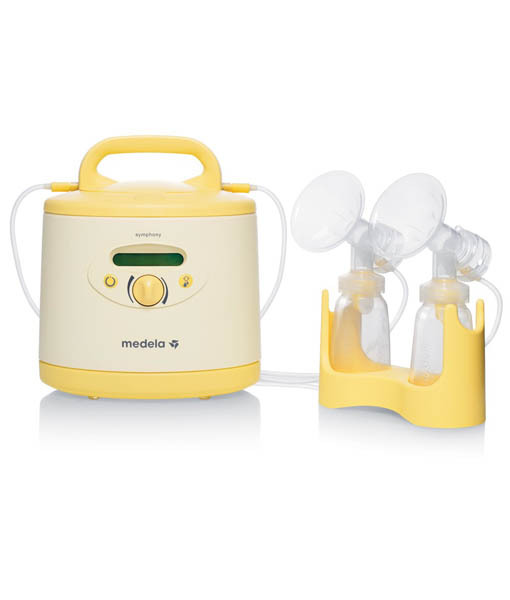 For hygiene reasons the double kit is required when renting a Medela Symphony Breast Pump.